To be a stable entity one needs to get rid of a one-track mind that calling is just one thing and embrace at least four kinds of vocations, just like the legs of a four-legged table. 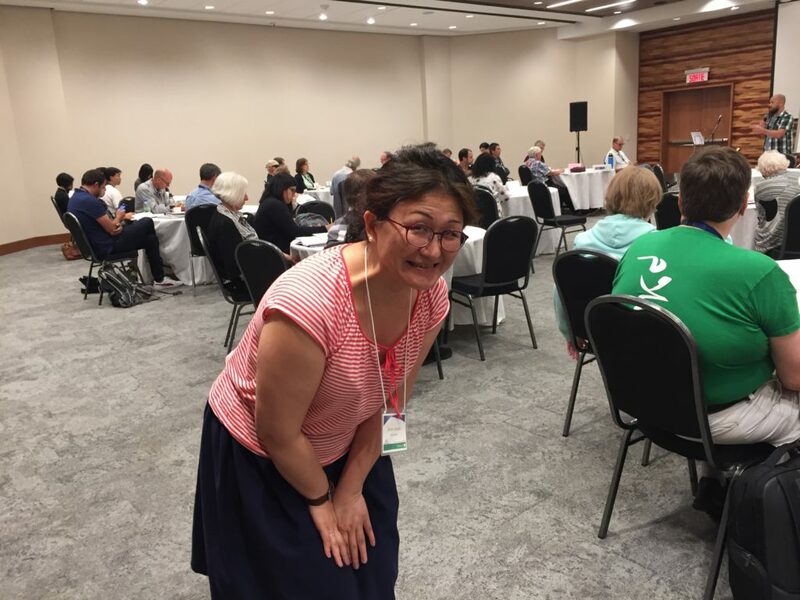 My Japanese friend and co-worker Izumi, has quite the story discovering her vocation. Our first call is to be human beings (Benner 2015, 87). Personally, I find that I have been so much in a hurry to live out the next call below, the Christian call, that many times I have neither accepted my own humanity let alone that of another. I’m often in a hurry to deal with myself and people as Christian/non-Christian than first of all, as simply human. This is where you can love someone, even an enemy, simply because they too are human—made in God’s image. You may call this the Christian calling. This is basically the primary vocation of having been called by God himself in love to love God and love our neighbour as Christ-followers. The first few blogs in this ‘Confessions of the Called’ series have all been about how foundational and essential this is, before we attempt our secondary call. Based on how God has uniquely wired us with gifts, passions, capacities, experiences, circumstances etc. we can discern through observation, prayer and counsel what specific vocation we may have, since no one else on the planet has our unique fingerprint. “Some people’s passions are obvious, and God leads them through those passions into a single path of service. Mother Teresa, for example, or the lifelong kindergarten teacher, or the musician who offers his skillful playing every day for God’s glory and other people’s joy. Others, like me, have less obvious passions: what gives the energy develops over time or remains partially hidden or blooms suddenly in response to new situations. As a result such people offer an assortment of odds and ends as service: a regular job done with integrity, some volunteer work, a career decision that seeks service over money and prestige, kindness to neighbors, maybe a late-life passion for going on mission trips or teaching teenagers appliance repair. Their lives may not have the clean simplicity of vocation, but at the center of everything they do is a deep love for God—and that is everyone’s true vocation. This last one I gleaned from Gordon T. Smith’s Courage and Calling: Embracing Your God-given Potential. It brought such a sense of peace to me as I tend to be very futuristic and ‘big dreamy’ in my approach to life thus find little, urgent things like changing a diaper or taking my wife grocery shopping quite interrupting and irritating. Immediate calling means God invites us to be responsible with the present demands and tasks of our lives (Smith 1999, 10). “And we know that God causes everything to work together for the good of those who love God and are called according to his purpose for them”—human, primary, specific, immediate callings. So come to the table just as you are, right where you are, right now. Relax. God’s got this. Benner, David G. 2015. The Gift of Being Yourself: The Sacred Call to Self-Discovery. Downer’s Grove, IL: InterVarsity Press. Rienstra, Debra. 2005. So Much More: An Invitation to Christian Spirituality. San Francisco, CA: Jossey-Bass. Smith, Gordon T. 1999. Courage and Calling: Embracing Your God-Given Potential. Downer’s Grove, IL: InterVarsity Press.